We recently partnered with UCLA Extension, the continuing education division of the University of California, Los Angeles, to better connect their students with career resources and community expertise. UCLA Extension Manager of Career Services, Jessica Oviedo, has overseen the launch of the platform, which combines modern marketing and student communication tools, personalized content, and resources for 13 Career Communities, while also giving UCLA faculty and other stakeholders a place to contribute their perspectives and support. UCLA Extension offers over 180 certificate programs to serve adult and continuing education students looking to launch or advance their careers. While UCLA Extension has always offered valuable career resources, including a dedicated job board, coaching platform, and other career planning tools, these resources were often underutilized. To boot, the career staff dedicated to Extension students is relatively small, and they wanted a way to proactively engage the diverse - and growing! - student population with the high touch support they needed. When considering how uConnect supports their initiatives, Oviedo said, "We have an institutional goal to provide all of our students with high-quality career services and resources throughout their journey, it’s why many of them enroll in our programs. Our partnership with uConnect allows us to scale by leveraging our world-renowned faculty and staff to act as an extension to our career services team and support our students’ career pathways.” The school had also sought a way to organize all of their disaggregated resources, like their Symplicity powered job board and InsideTrack Career Coaching services, among others, into one, institutionally branded and easily accessible portal. uConnect worked with Jessica and her staff to tailor the platform to the needs of their students, through the creation of thirteen unique career communities. Referring to their need to customize information and resources for over 35,000 students, Oviedo said, “uConnect allows us to both organize career information in a way that makes it easy for students to find what they need, and gives us a way to proactively curate resources for students through modern communication channels. We also wanted a way to leverage the collective knowledge of our incredible faculty. We’re a small team serving a pretty big audience, so engaging other stakeholders is absolutely part of our strategy." The configuration of the platform allows faculty to contribute to career communities and provide recommended courses content, and also gives them a mechanism to evangelize the work being done in the career center. Accessibility and inclusion: The solution is designed to focus on accessibility, eliminating traditional barriers to entry that sometimes come between students and the career resources they need. Firstly, the platform is completely native to the UCLA Extension brand, so as to present valuable resources in a familiar and credible environment. The platform is also public-facing, to promote career resources, data, and information to both current and prospective students, without requiring users to register for another service or download an app. A robust, self-directed experience: In order to reach UCLA's large and diverse audience, uConnect’s marketing and communication tools allow UCLA to automate the delivery of personalized recommendations to students through email, social media and mobile. Once driven to the platform, custom career communities offer an easy way for students to discover the full range of resources available to them, all aligned to specific industries and career paths. uConnect's automated alerts and self-guided student engagement experience help to scale the impact of career resources and offer a tailored experience to meet the needs of every student. 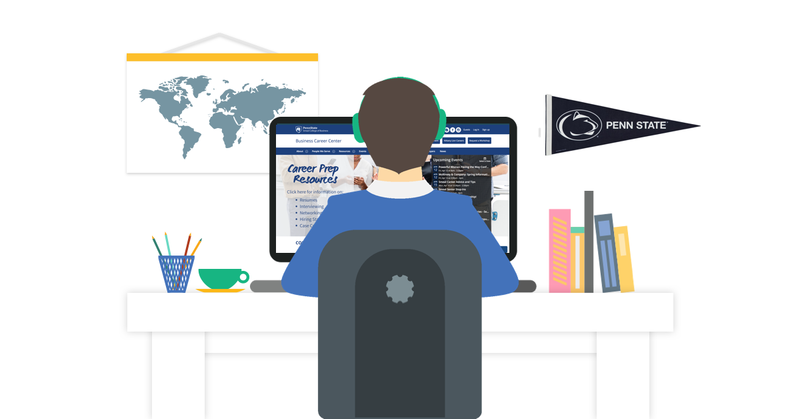 Connecting prospective students to learner services: Providing prospective students with career information is important to driving key enrollment metrics including inquiries, applications and yields. Using uConnect, UCLA is able to link the search for programs and individual courses to relevant career resources and information. Providing insight and access to career services during the enrollment process has the potential to increase conversion (from "prospective" to "enrolled") and also to make the critical connection between the pitch to prospective students and the resources they’ll use once enrolled. In only the first month, visitors logged over 20,000 visits to the platform. uConnect will publish a UCLA Extension Career Services Case Study documenting student engagement at the conclusion of the 2017/2018 academic year. 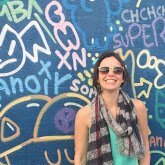 To learn more about Jessica's work at UCLA visit careers.uclaextension.edu or follow at @uclaextension.